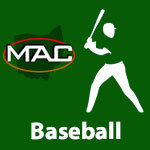 3/23 Baseball Scores – MidwestAthleticConference.com – The Official Site of the Midwest Athletic Conference for mac news, mac scores and more. Benjamin Logan 12 Coldwater 2, 5 inn. Marion Local 13 Spencerville 1, 5 inn. Minster 23 Ansonia 0, 5 inn. New Bremen 10 Franklin-Monroe 0, 6 inn.